We were interested in exploring the notion of “making” outside the traditional disciplinary realms for makerspaces. Then we began asking ourselves if—in fact—making is becoming a new way of being, of being in the world, recognizing that learning as making has the potential to transform human experience in the way that the spread of literacy transformed human experience and cognitive structures centuries ago. 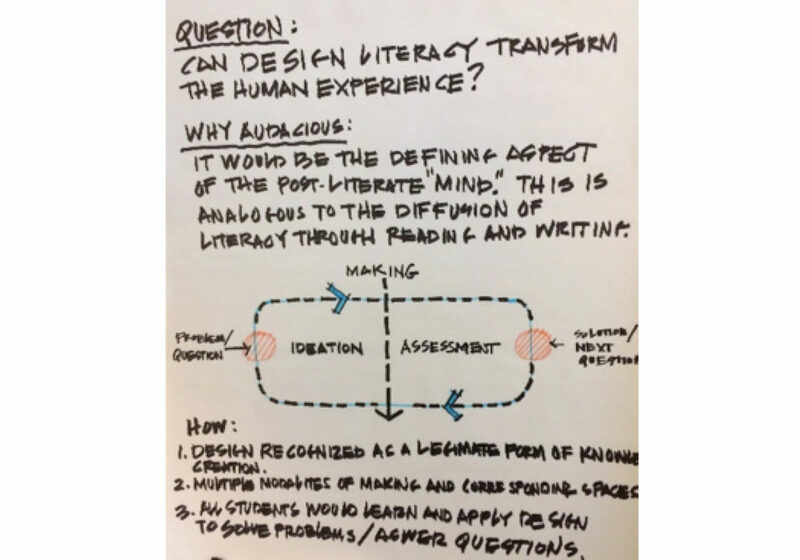 Can design literacy transform the human experience? Is there a distinct set of skills that we can push out to the world that actually changes the way we relate to the world and to one another?